Need a night off from cooking dinner? Come to Zoup! on Tuesday May 7th and help raise some funds for the Aquajets! 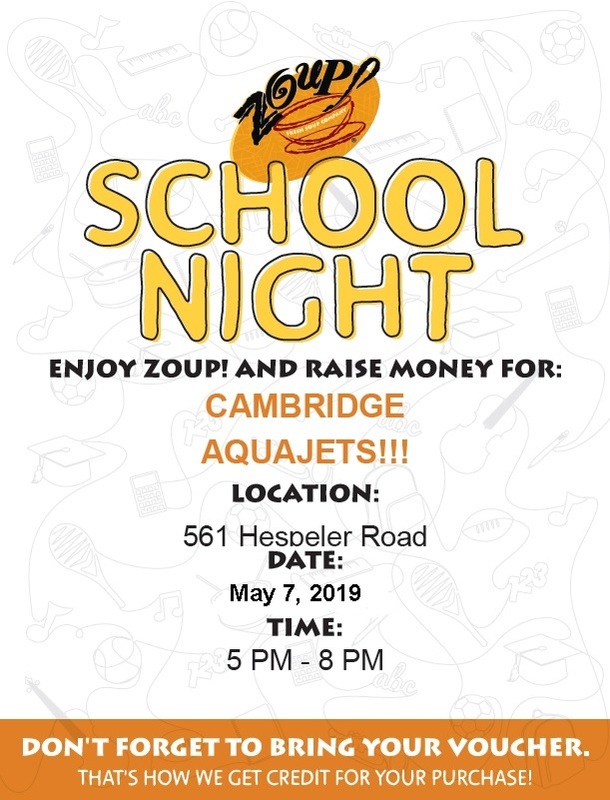 Between 5 p.m. - 8 p.m., show our voucher to your server and 25% of your bill will be donated to the Cambridge Aquajets! Invite your friends and family, or enjoy dinner out with some of your teammates!